The final flagship pro wrestling game on the Xbox 360 and PS3 is a fun and effective culmination of the series. For many people, professional wrestling is an odd and garish form of entertainment. People pack into gyms, concert halls, arenas, and stadiums to watch giant men fake fight on springy, canvas mats. That can be the perception, anyway, for the uninitiated. As a kid who watched pro wrestling a lot in the late 1990s and early 2000s, I never had to be sold on it that significantly, nor did I really understand why so many people leveled criticisms of illegitimacy at it. The choreography of the art of professional wrestling, though, is far more intense and taxing on the performers than even the most intricate film fights. Professional wrestlers have to pull off some amazing feats on a nightly basis in front of a live audience, and do so consistently and excitingly. It boggles my mind how anyone could have anything but respect for professional wrestlers, who in many cases have to travel 50 weeks a year, and lift 200-300 pound men over their heads every night in front of 20-30,000 people. Professional wrestlers are storytellers, but instead of using words or images, they use their bodies. Sometimes, those stories can be derivative, but on the most special occasions, they have just as much potential to capture your imagination as anything else you can take in. Anyone who may have been a fan of the WWF back in the late 90s/early 2000s may find themselves being somewhat disappointed if they check in on the WWE product today. The era of personalities like The Rock, Stone Cold Steve Austin, or Bret “the Hitman” Hart is long gone, but there are several innovators in the current era that rise above the pack. Wrestling video games have been consistently coming out for the last couple of decades, and developer THQ has been releasing them on behalf of the WWF/E since 1999. Many people felt that wrestling gaming hit its highest point with 2000′s WWF No Mercy for the Nintendo 64, but the company churned out a reliable product up until last year’s WWE ’13 before going under. Now, the WWE game series has been acquired by Take-Two Interactive’s 2K Sports line, which has resulted in this year’s WWE 2K14. Randy Orton preparing to RKO Daniel Bryan in an exhibition match in WWE 2K14. WWE 2K14 continues the tradition of No Mercy and the SmackDown! series as an in-ring wrestling simulator. When you enter the ring, you have the ability to strike, but the best level of success against an opponent will be with grappling. The game uses a chain grappling system, meaning when you “lock up” with an opponent, you have the option to execute a complete arsenal of moves based on the direction you hold the left thumbstick and the button you press. In the ring you can also run and strike, ascend the top rope and jump off, and a multitude of different match types available in the game can allow you to wield weapons (both legally and illegally), and fulfill special stipulations. Matches in the game are governed by the same rules a real WWE match is on television. You can defeat an opponent by pinfall (putting both shoulders on the mat for a three count by a referee), submission (make them tap out by inflicting a painful hold), or disqualification (if you break the rules or get counted out, and the ref sees it, you can lose). Much of your ultimate success in winning matches usually lies in reversing moves. This is probably one of the hardest elements of any wrestling game to master, because it’s extremely dependent on timing things exactly right. If an opponent gets a grapple or strike move off, you can “reverse” it by pressing the right trigger on the Xbox 360 or R2 on the PS3, and this allows you to either block it, or shift your opponent into a new move that damages them and saves you from being hurt. Reversals have been tweaked a little bit in this year’s game, but I’ll get to that momentarily. My main issue with WWE 2K14 is that the gameplay formula is largely unchanged from previous entries in this series. The biggest rework that this system has had over the pst few years was in WWE ’12, where the grappling system was refined and some physics were improved. Largely, the system present in the new title for basic gameplay is unaltered from last year’s game and its predecessor, but the scheme feels largely familiar to the first WWE effort used on the current generation of consoles way back in SmackDown! vs. Raw 2007. This is both good and bad, because familiarity in a game series can usually be positive if the system is good, but there are several areas where it feels like they could improve on some of the pitfalls of the last couple of years. Running, for instance, isn’t a very precise activity, and if you’re hoping to quickly hit from the front and dash quickly behind to get a grapple move, you may just find yourself unceremoniously bumping into your opponent without getting to pull off much of anything. Still, 2K14 has an impressive amount of match types, from the basic singles and tag team to the wacky ones like ladder, hell in a cell, or elimination chamber. Some new bells and whistles were added this time around in matches, though. For instance, if you knock an opponent down then your wrestler will make “get up!” motions toward them, and running and grappling seems to be more fluid. As alluded to earlier, strike attacks like punches and kicks are harder to reverse, and require even more precise timing than last year’s game. This helps in some ways to make the matches feel more fluid instead of being caught in an endless reversal stalemate, but can be frustrating in others, especially if you’re a wrestling game veteran and have to learn your reversal timing all over again. Overall, the basic gameplay conventions are about as good as you remember from last year, so if you were really satisfied then that should be good news. If you weren’t, then maybe they can fix things for you on the next generation of hardware right around the corner. WWE 2K14‘s “30 Years of WrestleMania” mode allows you to play through and relive main event matches from the three-decade history of the WWE’s premiere event, like The Rock vs. Stone Cold Steve Austin from WrestleMania XIX (which I attended!). Rest in peace, old buddy. For the last few years, the WWE games haven’t really shifted a lot in their presentation of the actual in-ring gameplay, but they have included fun additional features that help to tap into the earlier eras and appeal to both yesterday’s and today’s wrestling fans in equal measure. Last year, that feature was “Attitude Era Mode” in WWE ’13, and allowed fans to relive some of the most defining moments from, arguably, professional wrestling’s most popular era. This year, the main crux of that style of gameplay returns in “30 Years of WrestleMania” mode, allowing players to play through some of the more illustrious main event matches in the three-decade history of WWE’s “Super Bowl” event. Some highlight matches from the mode include “Macho Man” Randy Savage vs. Ricky “the Dragon” Steamboat from WrestleMania III, Hulk Hogan vs. The Ultimate Warrior from WrestleMania VI, Shawn Michaels vs. Razor Ramon from WrestleMania X, Michaels vs. Bret “The Hitman” Hart from WrestleMania XII, and The Rock vs. Hollywood Hulk Hogan from WrestleMania X8. I had a personal thrill when I got to relive the two best matches from the event that I was able to attend when I was a freshman in high school, WrestleMania XIX in Seattle from March of 2003. One thing that may hamper the experience somewhat for devotees of the old WWF is that the game is forced to revise history somewhat. 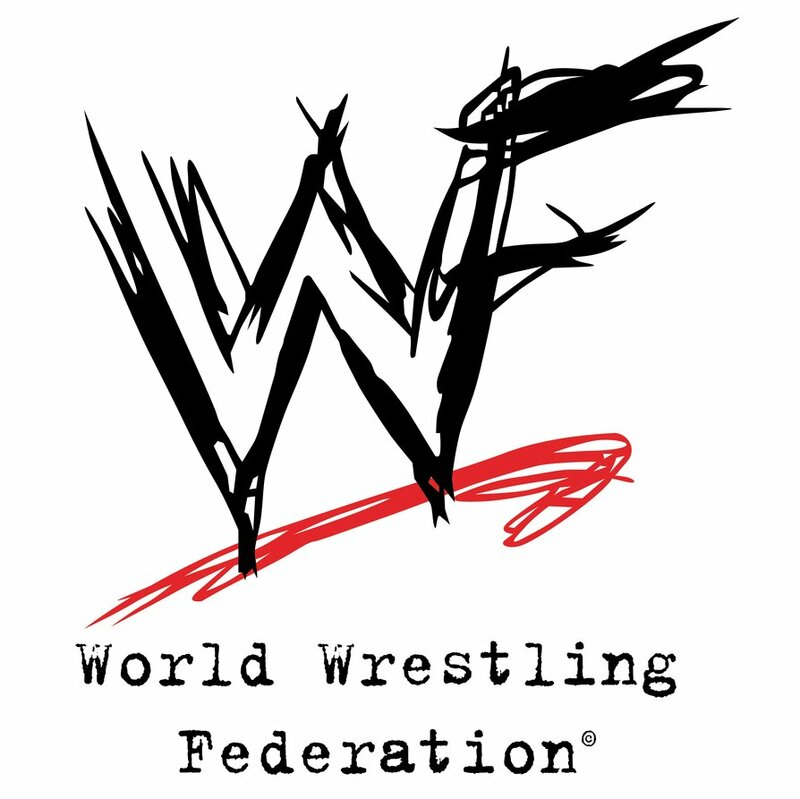 After a lawsuit with the World Wildlife Fund in 2002, the now-WWE is not allowed to show or say the “WWF” initials in any new material. Because the use of archival footage is in the creation of a new product, that means that old audio clips have the old initials taken out, and that old WWF logos are blurred in the video packages leading up to the matches you play. It’s unfortunate, but apparently legally required. They tried to make up for this in other ways, though. For instance, in a cutscene before the fateful Hulk Hogan/Randy Savage WrestleMania V encounter, you get to witness Randy Savage’s actual speech (or “promo” in wrestling-speak). They actually lifted the original audio from the 1989 pay-per-view telecast and synced the trash talk Savage actually dished out some 24 years ago in with the lips and actions of his in-game model. They would go on to do this in a few places to help set the matches up. That definitely assisted the authenticity in a few spots, and that extra effort did help to send me down memory lane in a pretty cool and unique way. “The irresistible force meeting the immovable object!” Hogan and Andre packed 93,173 fans into the Pontiac Silverdome in Michigan for WrestleMania III in 1987, and it’s one of the moments you get to play in this game’s story mode. To progress through to the finish in the WrestleMania Mode and unlock all of the rewards you can get by playing it, each match comes with its regular objectives (like winning by pinfall or submission) along with “Historical Bonus Objectives.” If you coast through a match in the mode without completing the “HBO’s,” then you won’t earn any unlockable content, which includes playable characters, unlockable titles, past WrestleMania arenas, and a couple of other surprises. As an example, in the legendary WrestleMania III battle between Hulk Hogan and Andre the Giant, where you play as Hogan, you’ll have some HBO’s that tell you to body slam Andre at a specific point in the match before you hit your signature leg drop and pin him for the win. This actually happened at the match itself back in March of 1987, so having to re-enact some of the most timeless WrestleMania moments really does make for a really enthralling and highly nostalgic gameplay experience. The game also overlays some grain and color filters over the game’s HD image, further adding a level of “vintage” feel to the gameplay in older matches. The mode was also given a great amount of detail for the actual wrestler models. In previous entries, the games would simply keep one or two costumes, or “skins” for each playable character, but 2K actually put the effort in to recreate the specific attire that each wrestler wore in their featured WrestleMania appearances, along with incorporating any potential differences in theme music and entrance videos. They also included the different designs for the championship belts across eras, which has been left out in years past, including in a 2009 video game called Legends of WrestleMania. Overall, the experience is fun and very authentic, and WWE 2K14 puts that previous Legends game to shame with better controls, better graphics, and far more attention to detail in these previous WrestleMania moments. 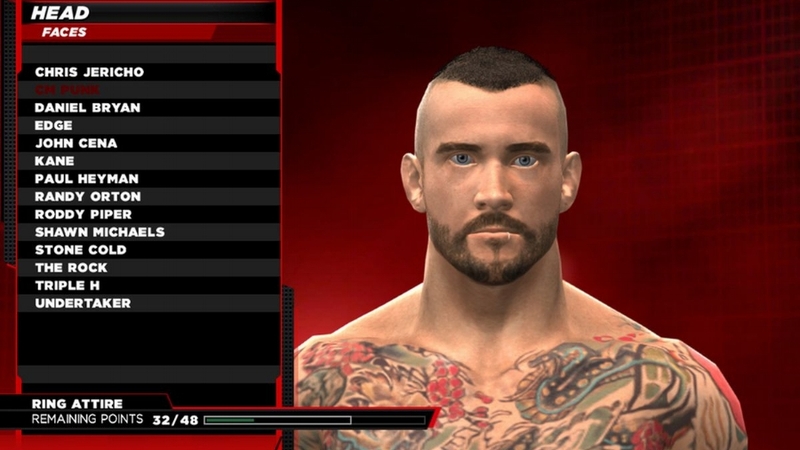 This year’s Creation Suite allows you to “clone” wrestlers already in the game, like CM Punk here, and customize all of their physical attributes. As with last year’s game, there’s a lot of customization possible in this year’s creation suite. From wrestlers, to arenas, championships, move sets, finishing moves, logos, and more, this is a mode that can eat up a lot of time if you let it. Creating a wrestler is about on-par with last year’s game, which is definitely not a bad thing. In order to craft my face, I handed the controller off to my girlfriend, who changed anything from a simple hairstyle to the more complex angle of my cheekbones. Virtually unchanged from last year’s game are the Create-a-Finisher, Create-a-Move Set, and the Paint Tool. There are some new animations for the move sets and finishers, but these components are largely the same as last year’s which doesn’t strike me as a bad thing. Also coming back from previous years is the “create a story” option, which allows you to craft an entirely unique wrestling narrative by typing out lines that wrestlers say, orchestrating events, and controlling the direction of the entire WWE. One of the best parts about practically anything you create in these games is that they can be posted to the online community and downloaded by other players. Universe Mode is basically like an alternate sandbox story mode, which operates off of a weekly schedule with TV events culminating in pay-per-views. Each recurring show, divided into major and minor SmackDown and WWE Superstars respectively, can have its theme, roster, belt and arenas adjusted. Players can also delete shows entirely, as well as add new shows or move shows around on any day of the week. Statistics and rankings are included. Scenarios play out according to the choice of the player, with the game giving you options to lead out to a branching storyline based on decisions made within the match. This allows players to choose how to attack during cutscenes, whether or not to attack and gives the option to break up tag-teams and alliances. When U-Mode gets too “clunky”, cumbersome or confusing, you can reset it and start anew. WWE 2K14 is a good wrestling game. The obvious standout of it is the WrestleMania mode, which will allow old fans to relive great moments and young fans to discover them for the first time. Basic gameplay is a little hampered by how unchanging it’s been over the last few years, but with the onset of new game consoles coming this month, next year features perhaps the greatest opportunity for wrestling games to change. If you’re looking for a good dose of WWE attitude or ruthless aggression, WWE 2K14 is definitely one of the best ways you can do that. New additions are promised soon in the form of DLC very soon, but the best part of this game is that it feels like it was made for both the wrestling fan of old who loved the likes of Hulk Hogan or Stone Cold, and the modern wrestling fan enamored with stars like John Cena or CM Punk. WWE 2K14 may not exactly be a power slam, but it is the best wrestling simulator released on the Xbox 360 or PS3 by default. Maybe we’ll get to see a little more innovation when the next game arrives on new hardware, but this game should more than hold you over until then.